One of the oldest mixed drinks, the Old Fashioned is as traditional as they come! The same might be said about your personality. This classic cocktail is made by muddling sugar with bitter, then adding whiskey, and finishing with a final twist of citrus rind. 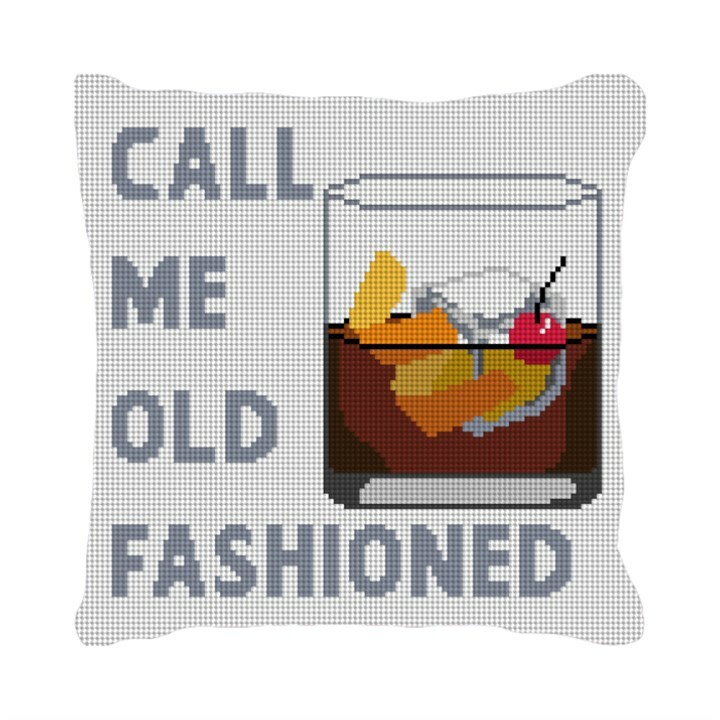 You'll love displaying this needlepoint pillow with a humorous twist in your living space. You may be old fashioned, but you haven't lost your sense of humor!